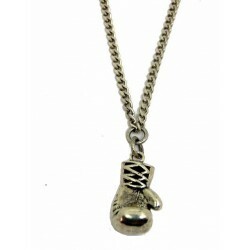 Find cool men's necklaces, including dog tags, skulls, angel wings, crosses and more at Armbando's Men's Jewellery. 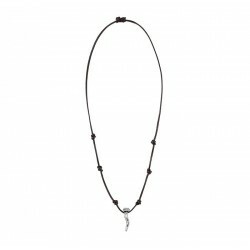 Whether you're in search of plated silver or sterling silver materials, we have the top, most popular fashion jewellery styles available. 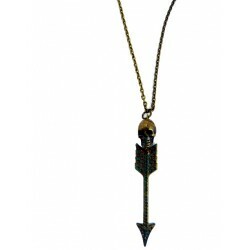 Wear our men's necklaces in layers with or without a pendant for a hip look when hitting the club scene or going to a concert, or wear a one of our bold chains all by itself. 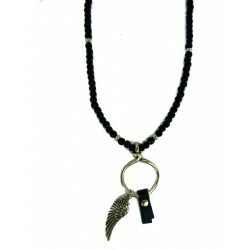 Shop our celtic necklace styles, black leather necklaces, XXL Hardwear jewellery, UNO de 50 men's and more for a cool men's fashion style. 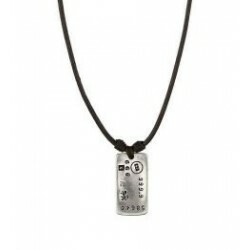 Men's Necklaces There are 6 products. 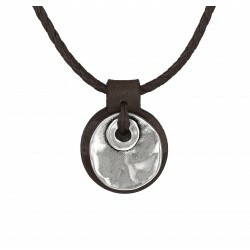 Man and woman leather necklace featuring a nail in silver-plated metal alloy. Wooden and silver beaded Necklace.